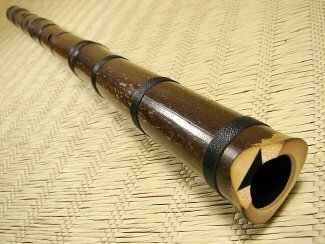 Here is wonderful Tai Hei 2.4 Student Level Shakuhachi, made by master craftsman Monty Levenson. With its precision cast bore, this shakuhachi offers quality sound and excellent tuning. 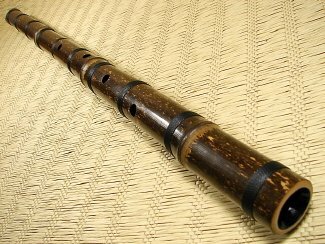 This is a great shakuhachi for those of you who would like a high-quality, well tuned instrument, but do not want to spend the money for a professional root end shakuhachi. 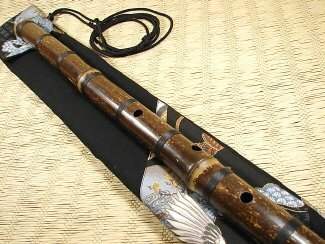 This shakuhachi can be enjoyed for solo playing and for playing in tune with other instruments. 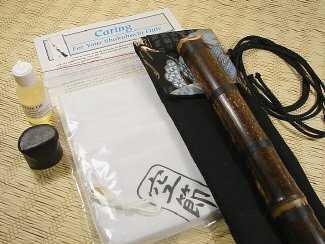 Made from specially selected madake and torachiku bamboo, these quality student level shakuhachi are used by teachers of traditional shakuhachi music for their beginning and intermediate students. – Monty Levenson’s full guarantee for the new owner of this flute! * Lifetime guarantee against splitting! 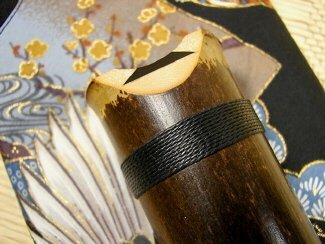 Tai Hei Shakuhachi, which are bound at the time of purchase, are guaranteed for life against cracking through to the bore rendering the flute unplayable. Only the time-tested method of tightly binding the flute will insure against the possibility of cracking. Tai Hei Shakuhachi is the only instrument of its kind to offer a lifetime guarantee against splitting if bound at the time of purchase. Returned instruments will be repaired or replaced at no charge. This guarantee is extended to the original owner of the instrument only (this would be the person who purchases this flute). It does not apply to cracks in the bamboo itself, nor to flutes that have been mishandled, neglected or otherwise abused. 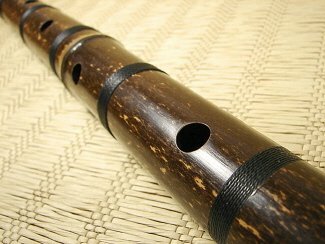 You may purchase this Tai Hei 2.4 Student Shakuhachi with full confidence! If you are not completely satisfied, you are welcome to return it after 3 days of receiving it for a refund. Obviously, the flute must be returned in perfect condition. The original cost of shipping and your return shipping cost will not be included in the refund. * Please note: The beautiful sound and excellent tuning of each Student 2.4 Shakuhachi are highly consistent with each flute. 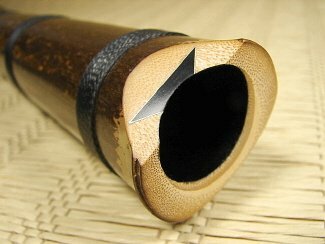 However, as you know, each piece of bamboo is completely unique; the patterns and color variations of the flute you receive will vary from the one shown here. * For International Shipping Only: This 2.4 shakuhachi is too large to be sent by Global Priority Airmail. It must be sent by Global Express Airmail. So please choose this shipping option when making your purchase on this website.